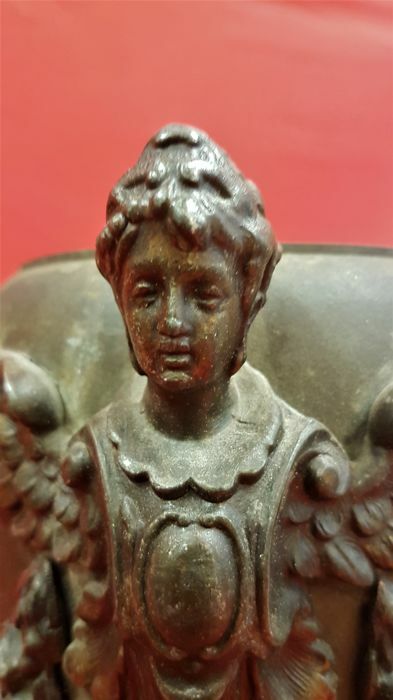 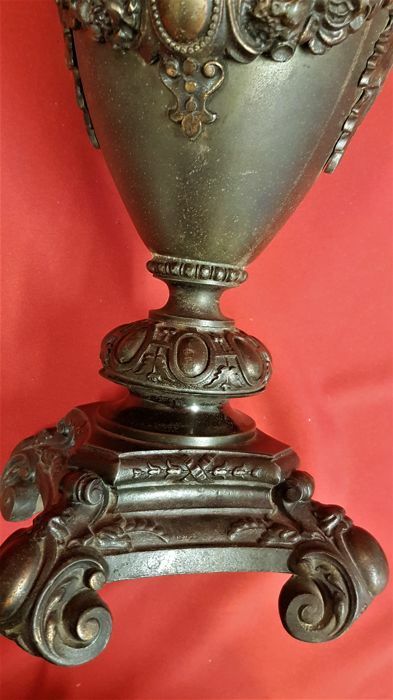 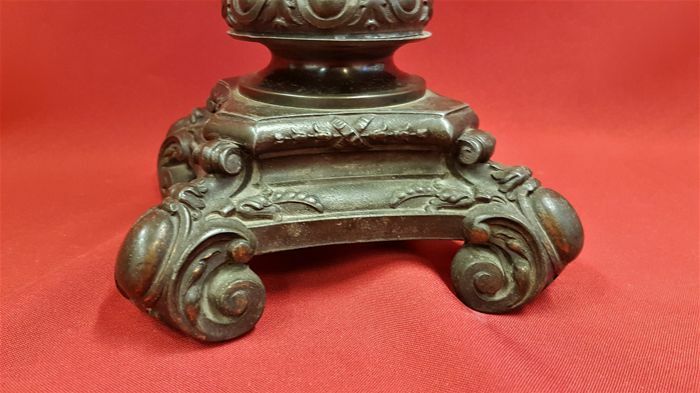 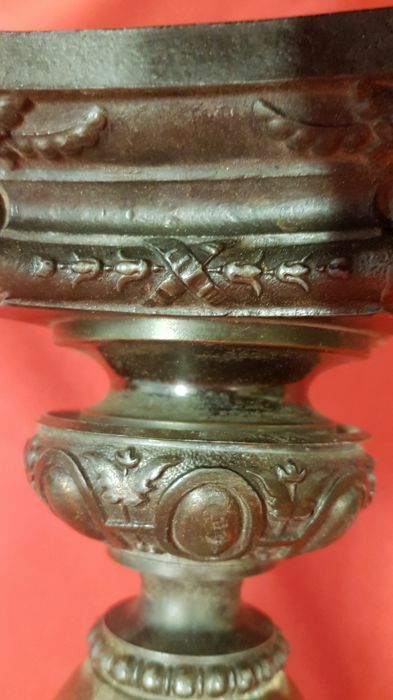 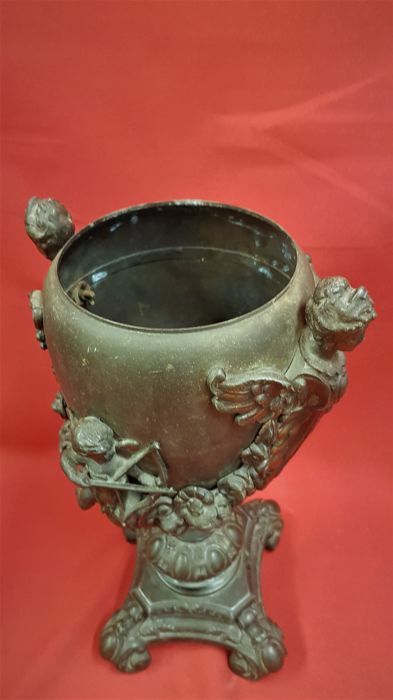 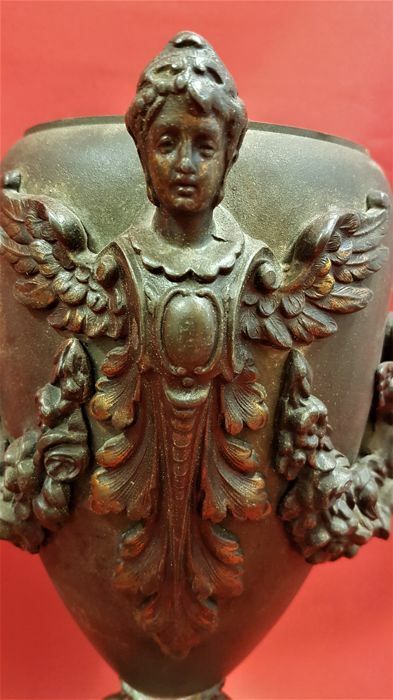 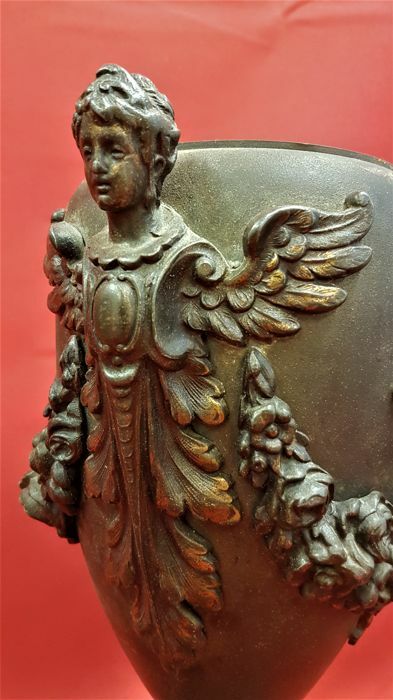 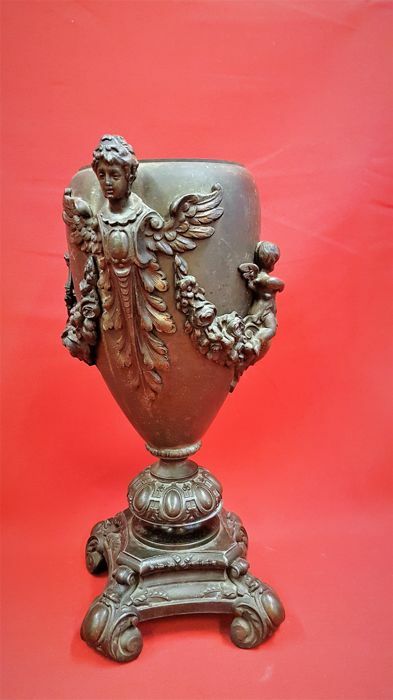 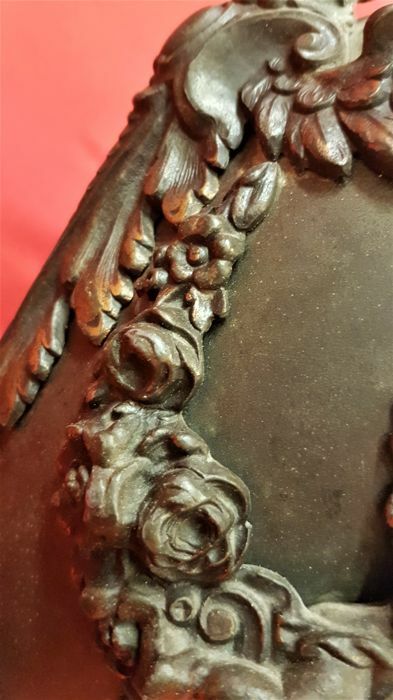 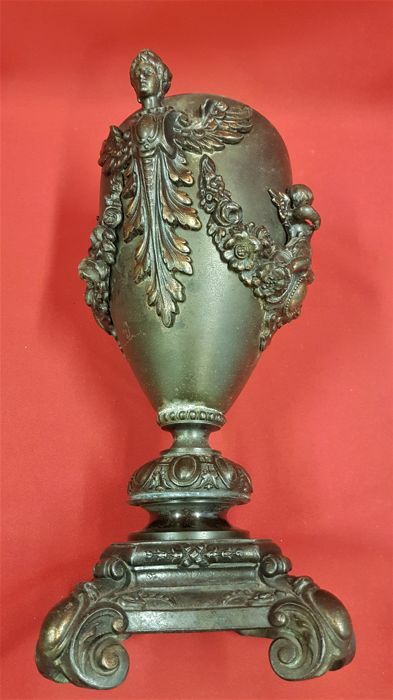 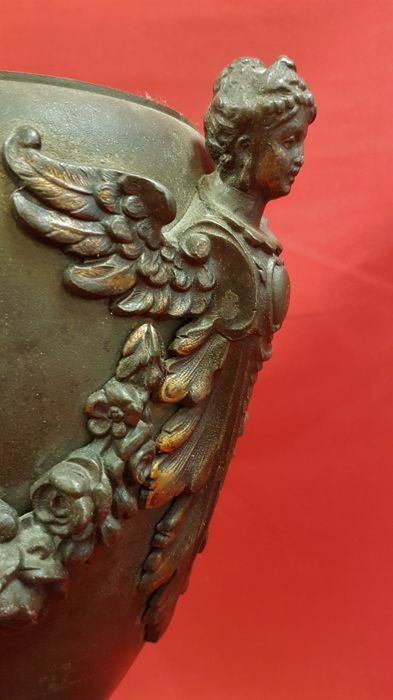 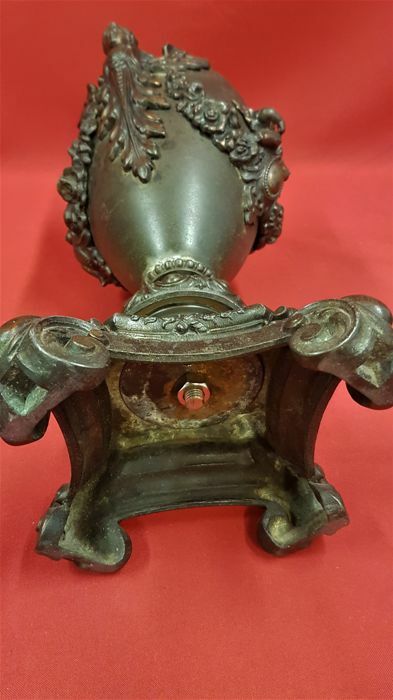 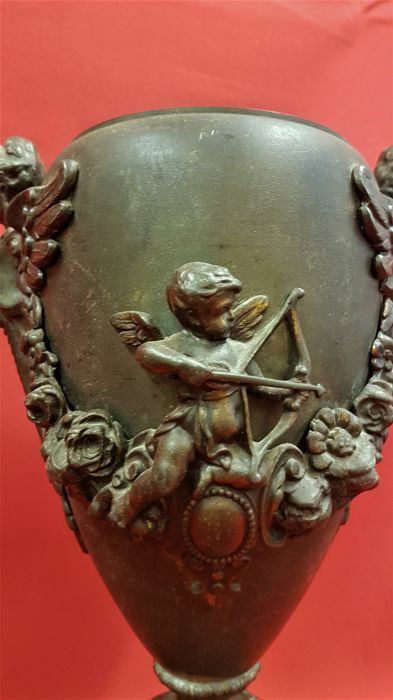 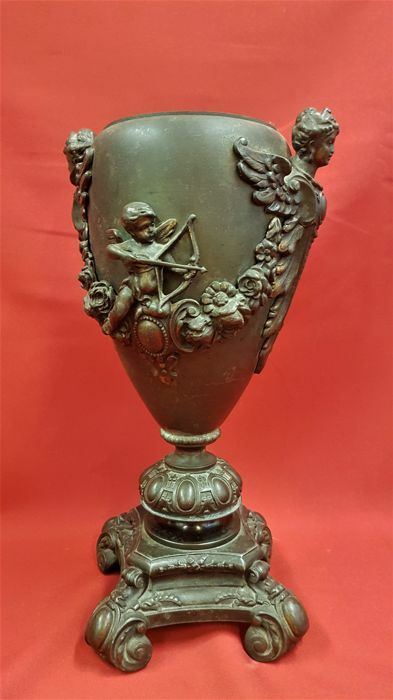 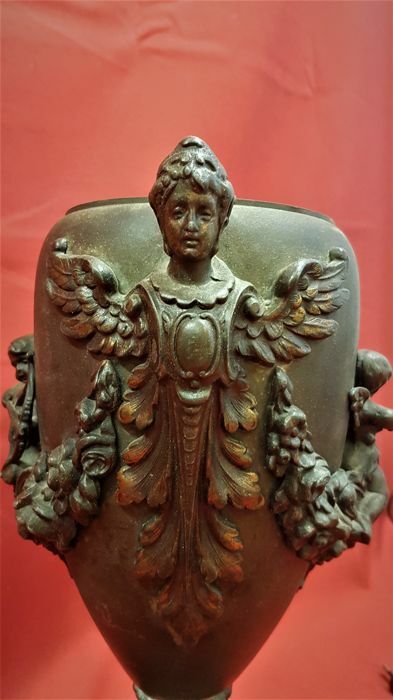 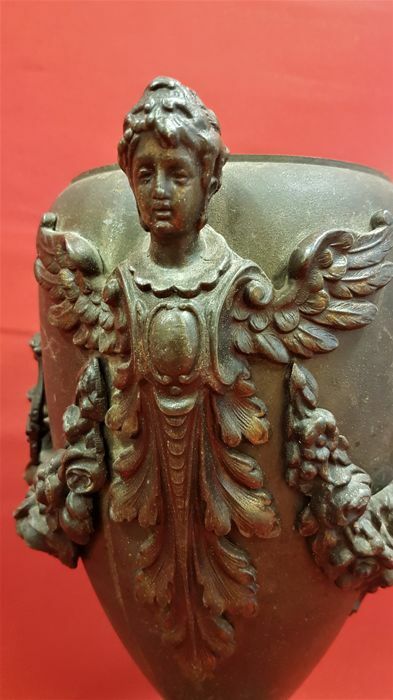 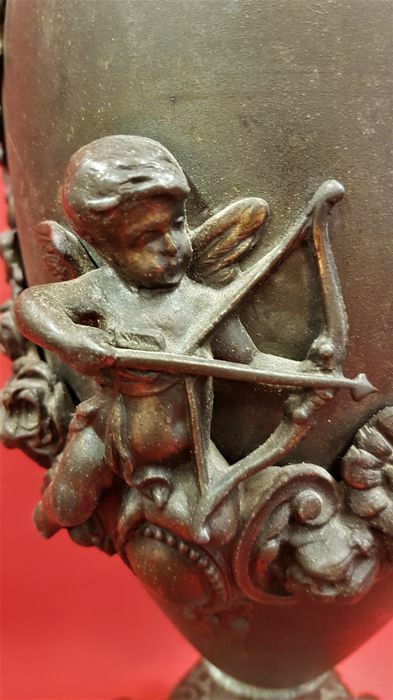 Striking bronze vase/urn, richly decorated with angels and gods. 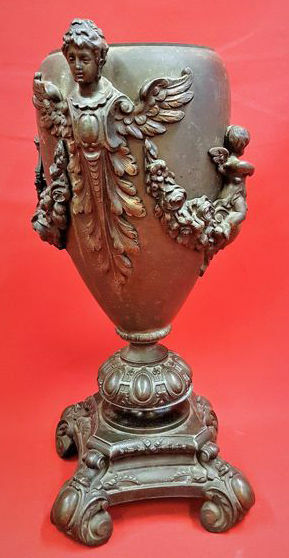 Size: 37 cm high, 19 cm wide, base 15x15cm, 3511 grams. 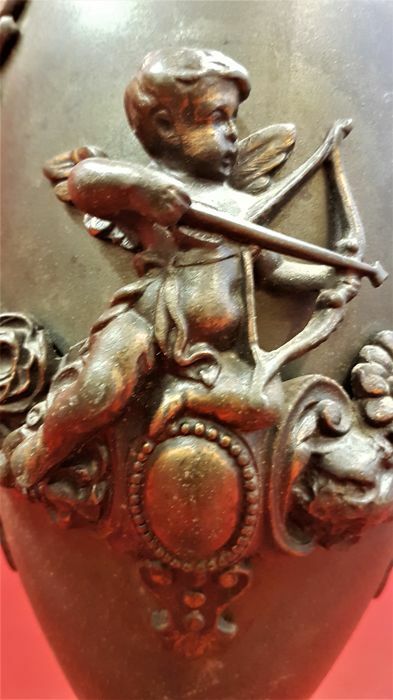 Lot will be packaged carefully and shipped with tracking number.